attending live music events in the UK grew from 2.79 million to 3.9 million*, with the industry adding £1 billion to the UK economy in 2016 alone**. From the feel-good music to the carefree convivial atmosphere, festivals have plenty to offer. According to a recent census by UK Music, live music is not only fun to listen and dance to: it enhances social bonding, is mood-enhancing, provides health and well-being benefits, is inspiring, and forms part of people’s identity***. With all this to gain, it’s little wonder tickets seem to sell out at lightning speed. To make sure you enjoy your festival to the max, you of course need the right gear as well as the right music. 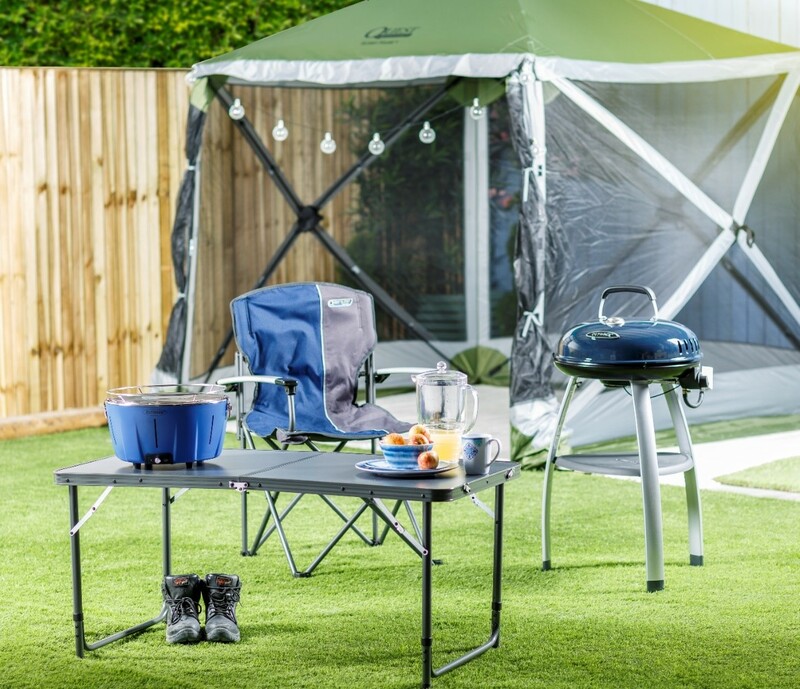 Leading high street retailer Robert Dyas has heaps of camping products to make your experience the best it can be. “There’s nothing worse than having the lack of key essentials dampen your mood at a festival”, says Robert Dyas’s Head of Marketing, Rebecca Waters. “To really get the most out of a festival, you need a comfy campsite to go back to and all the everyday items that’ll come in handy throughout the day. With our camping equipment, insect repellents, portable barbecues and other nifty products, we’re your one-stop shop for your complete festival kit”. When you arrive at the campsite, the Summit Corkscrew Pegs (£1.79) and Summit 12oz Rubber Mallet (£2.79) will help you put your tent up. For some welcome rest after hours of standing and dancing, a camping chair is a must. Try the Quest Elite Deluxe Suffolk Camping Chair(£39.99), or choose the Quest Traveller Morecambe Compact Chair(£9.99) for comfort on a budget. Sun too strong? Attach the Quest Clip-On Garden Chair Paraso (£9.99) to your chair and avoid the lobster look. Get a comfy night’s sleep with the Summit Flocked Single Air Bed (£11.99) – or the Double (£22.99) if you’re sharing – and pump it up the hassle-free way with this Summit Mains and Battery Powered Air Pump (£11.99). Lastly, forget sleeping on a rolled-up jumper – take the Summit Inflatable Pillow (£2.49) with you instead. What could be better than a tasty chargrilled feast to top off your festival experience? The Flame Master Portable Charcoal Barbecue(£29.99) is small enough to take with you. Alternatively, you could take the Voyager Smokeless Charcoal Barbecue (£59.99) to keep your camp smoke-free. You’ll of course need a handy cutlery set too, like the Summit 5-Piece Cutlery Set with Pouch (£2.99). The Quest Superlite Black Edition Stow Folding Table (£34.99) is ideal for sociable mealtimes. There’s also a smaller version (£14.99) if you’re after something more compact. Keep the mozzies away the hippie way with these Incognito Insect Repellent Incense Sticks (£4.79). For night times, the Incognito Insect Repellent Room Refresher (£7.99) is perfect for keeping in your tent, while the Incognito Mosquito Repellent Spray (£9.99) is great for use throughout the day. Mosquito bites are not a good accessory so opt for the Incognito Mosquito Repellent Roll On (£7.99) to prevent being bitten and keep your hands chemical-free. To avoid taking both sun cream and insect repellent, lighten your load with the nourishing Incognito Insect Repellent SPF 25 Sun Cream – 150ml (£21.99). To tackle wasps or other annoying insects that are buzzing around your campsite, keep the Kingfisher Bat Bug Zapper (£6.00) at hand. Sleeping in a tent can get stuffy and uncomfortably hot in the summer. With the compact JML Chillmax Cooling Gel Insert (£9.99) you can keep your pillow cool all night. If you’ll be braving the showers, this Summit Microfibre Large Towel (£6.99) is lightweight, quick-drying and takes up much less space in your suitcase than a regular towel. Need a daytime backpack? The Discovery Adventures 15L Folding Day Pack (£9.99) also saves space in your luggage thanks to its handy folding design. Avoid being caught without power and unable to find your mates with the Energizer 5000mAh Portable Power Bank (£9.99). And of course, don’t forget your Emergency Poncho (£0.99) to keep you dry when the weather takes a turn for the worse! This press release was distributed by ResponseSource Press Release Wire on behalf of Robert Dyas in the following categories: Children & Teenagers, Men's Interest, Entertainment & Arts, Leisure & Hobbies, Home & Garden, Women's Interest & Beauty, Food & Drink, Travel, for more information visit https://pressreleasewire.responsesource.com/about.